Product prices and availability are accurate as of 2019-04-21 10:25:58 UTC and are subject to change. Any price and availability information displayed on http://www.amazon.com/ at the time of purchase will apply to the purchase of this product. I-Pilot System for Riptide ST: The upgraded i-Pilot includes additional recording capacity and a brand-new remote with enhanced performance and boosted durability. The i-Pilot is capable of storing an overall of six Spot-Lock and six Record A Track locations compared to three locations each on the initial version. If the boat drifts more than five feet from the Spot-Lock place, i-Pilot will trigger the trolling motor to keep the angler on the designated spot. 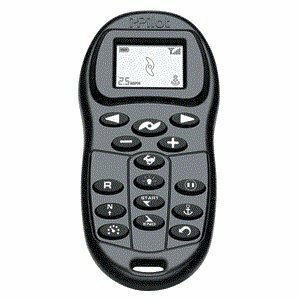 CoPilot is Minn Kota's wireless trolling motor control system and is integrated into the i-Pilot remote control. 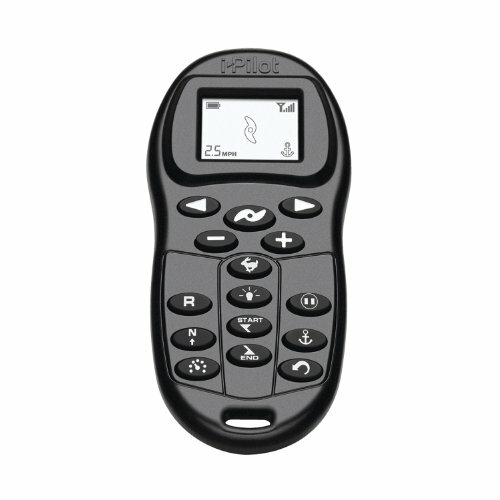 The remote can be purchased separately for use with the original i-Pilot systems but will not include the additional storage space. The following are the key features of i-Pilot: Spot-Lock works like an electronic anchor, holding the boat in place. Cruise Control maintains real-time on-the-water boat speed in one-tenth mile-per-hour increments. Anglers can control speed and steering from anywhere in the boat. Box Dimensions: 4"H x 10"W x 13"L. Weight: 2.1lbs.